I'm an outdoorsy person, but not in the way that most people think of it. I don't need to hike for miles (and I'd rather not) through distant mountains. I like to go outside, but I like sitting on patios. And since I've lived in Los Angeles and Phoenix all of my adult life, people have considered me pretty weird because of my tendency to go outside. When I lived in Los Angeles, in the 1980s, there was a popular song "Nobody Walks in LA". And I found it to be just as true in Phoenix. To be fair, the song really meant that only a "nobody" walks - that is, homeless people, poor people, people who aren't celebrities, etc. It's still the mindset in Los Angeles, and Phoenix, today. Ask anyone who has lived there for a long time - they never go outside, unless they're getting in and out of their car (with the closest parking spot available! ), or if they're doing a hiking trip in Sedona. Walking around Phoenix is just considered kind'a crazy. And in the summer, when it's over 100 degrees, it is! But it's not hot all of the time in Phoenix. In fact, the weather is so wonderful from October through April that people visit from all over the world, just to go outside. Today is March 12th and I guarantee you that someone from Minnesota is standing on a balcony in Phoenix right now, just being amazed. Yesterday at the Sahuaro Ranch I saw someone sitting in the parking lot next to their RV. Just sitting there. I imagined that they had come from somewhere where you couldn't just sit outside in the warm sun in March, but I really don't know. Being outside is for tourists, and locals never do it. Unless, of course, they're crazy like me. I never stopped being a tourist in Phoenix and Los Angeles. That makes me a nobody, I guess. 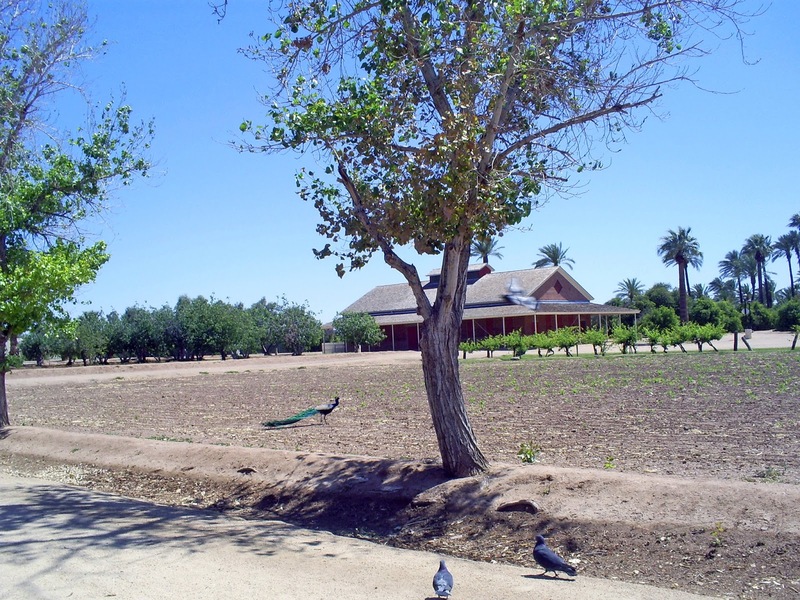 Image above: Sahuaro Ranch, Glendale, Arizona. The parking lot where I used to work (Glendale Community College) is just south of this. Sometimes I would walk over there and eat my lunch.